Welcome to the Home for the Holiday's Hop!! Thanks so much for visiting my page today! Grand Prize is an awesome Shopping Spree of $450+ Gift Card or Paypal Cash. Who wouldn't want that? Second Place Grand Prize will be (1) E-book from every participating Author...that's alot of great books !! Make sure you leave a comment on the blog post with your email addy to get you entered for the Grand Prize. Every stop you visit and comment on will give you another entry into the fabulous giveaway!! So, let's talk FOOD !! Today i'm sharing a super easy yummy recipe that my kids force me to make often !! I know at least one of the ingredients might make you pause but trust me, you really won't be able to tell once it's baked so just try it !! Bake in 350 oven for 45 min. Combine the vanilla chips and sweetened condensed milk in a saucepan over medium heat. Stir frequently until almost melted. Remove from heat and continue to stir until smooth. When chips are completely melted, stir in the peppermint extract, food coloring and candy canes. Spread evenly in the bottom of the prepared pan. Chill for 2 hours, then cut into squares. When the love of Dana’s life leaves without a word, she’s forced to move on. Nicholas thought leaving would save the woman he loved. A secret forced them apart; could a wedding bring them together again? When they reunite, their love and desire are Second Nature. If a second chance presented itself, would you take it? When the love of Dana's life leaves without a word, moving on is the last thing she wants to do. Despite loving him, she believes she will never see him again but, little does she know, she's being set up for a night that will change her life forever. 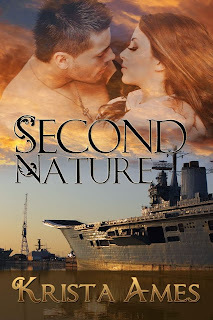 Nicholas, A Navy man, did the only thing he could to save the woman he loved. Driven by a secret, he disappeared and now returns, years later, with hope for love. With one opportunity, will he be able to make things right, or is it just too late? 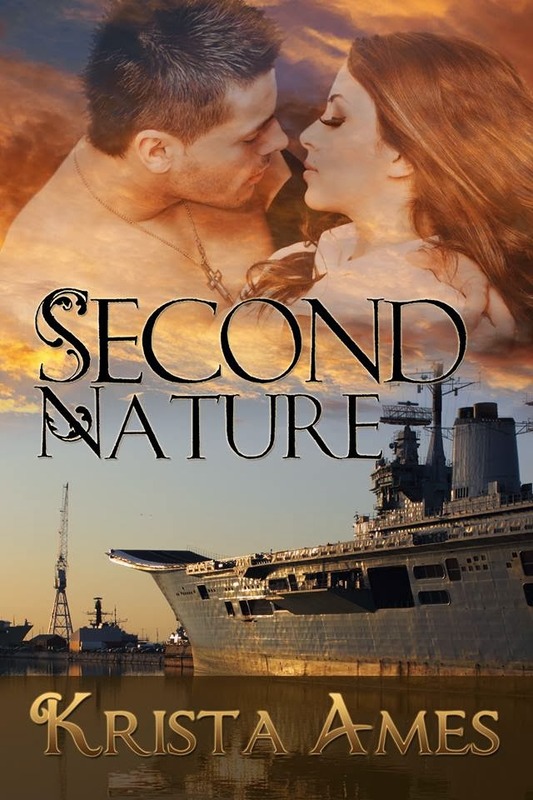 Will she resist the desire she has for a second chance or will it be Second Nature? PDF GRAB BAG BOOKS for SECOND GRAND PRIZE!!! Thanks for stopping by Jennifer. If you like apples,trust me you'll love 'em. They are divine !! Congratulations on the new book and I love that cover. Oh it's a super easy recipe to make too and melts in your mouth! Love the name of this recipe, as well as the recipe, have never made a recipe that featured Mountain Dew, must try it. Thank you so much for sharing your recipe and joining this giveaway! Recipe looks awesome Krista! Thanks for sharing. Also for being in the blog hop. Hope things are going good for you. lol...loved the apple thingys!!! Great name!! Those apple thingys sound yummy thanks for being part of the hop. Thanks for the awesome hop. I was never a fan of candy canes. Do they improve when crunched up? Thanks for the recipes, especially the candy cane fudge--what a great combination! Thanks for sharing the recipe and the chance to win! The apple thingies sound amazing and easy to make, and I think they would be a hit with holiday guests. That is definitely going in my recipe file. Nice recipe, thank you. Thank you for your participation in this giveaway. Hi! Those are two recipes i cant wait to try! Especially apple thingys! I love apple things. Yum!! Great sounding book to! Thank you for sharing and for the giveaway!! Happy Thanksgiving!